What's the best joinery method for drawers? The answer: there are several reliable options. The best one for you will depend on the tools and skill at your disposal, and on the importance you place on durability, aesthetics and last but not least, getting done fast. 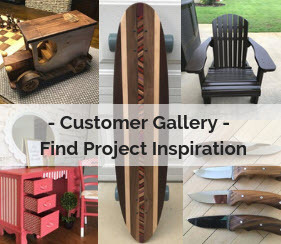 In this article, we'll outline a few of the most common drawer making methods, and suggest a few tools that will make the process easier and more accurate. 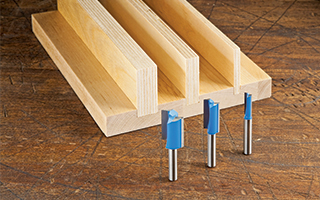 Have you ever used a 3/4" router bit to cut a dado for a plywood shelf, only to discover that “three-quarter inch” plywood isn’t all that it claims to be? 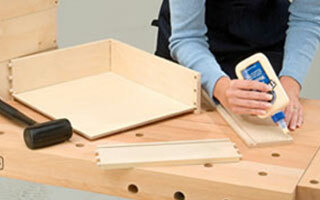 It can be a shock the first time; you’re left a plywood-to-dado fit that has more than just a little “slop”. In fact, the typical sheet of 3/4" plywood actually measures close to a hefty 1/32" less than its nominal thickness would lead you to believe. Dovetail joint drawing The layout of dovetails involves cutting the tails (the pink wood on the left) and pins (the beige wood on the right), both cut to match the other. I like hand-cutting dovetails, and I’ve literally cut thousands of them. As a result, I try to execute them in a manner that hearkens back to the day when dovetails were all done by hand, and guys got paid to get them done fast and right. 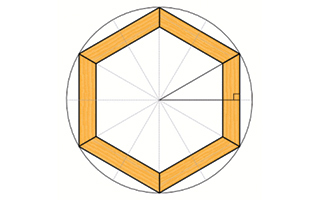 Polygon calculations come up frequently in woodworking. Finding the angles and dimensions of used in building multi-sided frames, barrels and drums (to name a few applications) begins with an understanding to the geometry of regular (symmetrical) polygons. 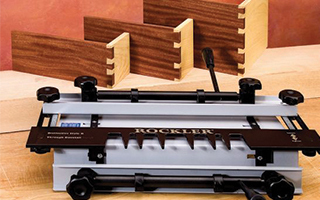 Not all woodworking machinery angle scales are created alike. In fact, there are two different conventions for the calibration of angle scales in common use on woodworking machinery. 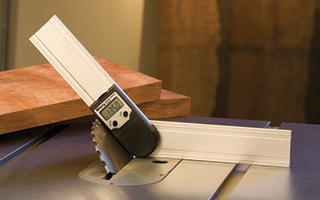 One type of scale is calibrated to treat a square cut as a 90 degree cut, while the other scale treats a square cut as a 0 degree cut. Along with that, the terms used in woodworking to describe angled cuts don't make the origin of the angle measurement perfectly clear. 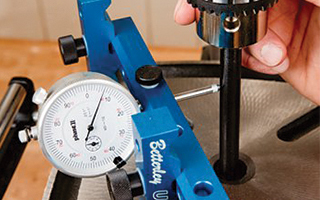 To make sure your drill press is pushing through straight, use a dial indicator precision shaft to test it for any wobble. Among a variety of “setup” tests, I measured flatness and front-to-back squareness of each machine’s table. I also checked for runout (wobble) at the chuck by installing a precision shaft and taking readings off of a dial indicator while slowly rotating the spindle. Runout varied from .001" to .011", but that range of deviation from a single axis of rotation didn’t seem to transfer into noticeably smoother holes or out-of-round holes. Box joints might not be the most interesting or attractive joints, but they are very sturdy and simple to cut in most shops. 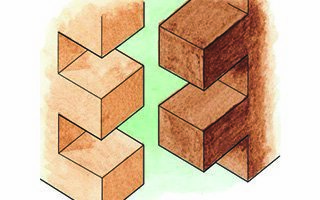 Although not as dressy as dovetails, box joints are versatile joints great for all kinds of everyday projects. 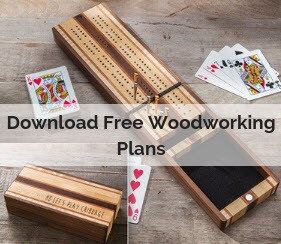 You can use them to build attractive boxes and trays, good-looking drawers and carcasses, and tool totes and chests strong enough to withstand daily use. For a woodworker, being able to "solve" right triangles is an extremely important skill. 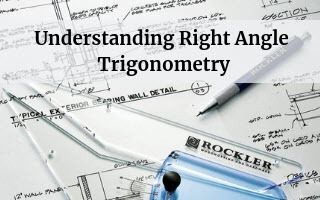 Compound miters, multi-sided structures and a variety of other complex building projects can all be understood and calculated using right triangle trigonometry. 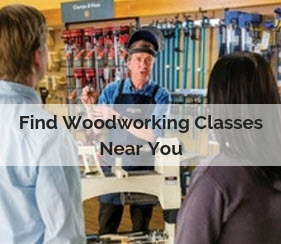 If the term trigonometry causes you to suffer a sudden onset of "math anxiety," you'll be happy to know that the trigonometry you need for woodworking isn't all that complicated.